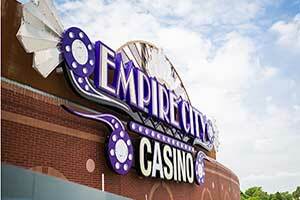 Empire City Casino at Yonkers Raceway is located at the intersection of Central Park Avenue and Yonkers Avenue in Yonkers, New York. The racetrack began operating in 1899 as the Empire City Race Track. Minimum age is 18 to wager. On Tuesday an announcement was made that both the Empire City Casino and Yonkers Raceway will be bought by MGM Resorts International. The total cost of the purchase will be for $850 million. MGM has been active in building a larger presence in the northeast. Yonkers raceway is located 15 miles from Times Square. The purchase will allow for an expansion into the New York City gaming market. The property consists of 97 acres. Traditionally it has operated harness track racing. In 2006 the racino was allowed to add video lottery terminals. There are currently 5,222 of these machines in operation. This is the second largest slot parlor in the metropolitan area of New York. No plans from MGM have been announced for the future of the property. The property was owned since 1972 by the Rooney family. Plans for the sale were announced in November of last year. Currently there are no full scale casino gaming licenses available for the area. However, MGM is predicting that the law could change in their favor as early as 2021. New York is also moving forward with allowing sports betting after it was recently approved by the U.S. Supreme Court. If by December 31, 2022 Empire City is awarded a casino gaming license then MGM Resorts would pay an additional $50 million as under condition of the sale. Regulation approval is still required before the purchase can be finalized. However, it is expected to be completed by the early part of next year. 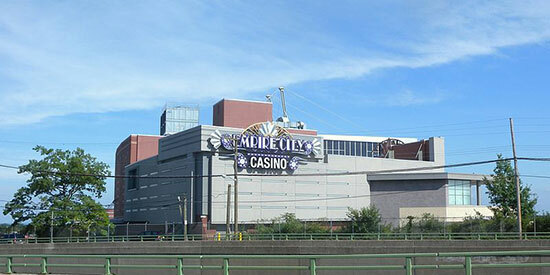 The facility would need to have the current license changed to MGM by the Gaming Commission for the state. This would be after the commission conducts a review of the sale.